Often overshadowed by the grandeur of the wedding gown, shoes still have an important supporting role to play! Comfortable, yet stylish, they often add a little touch to the overall look of the bride. 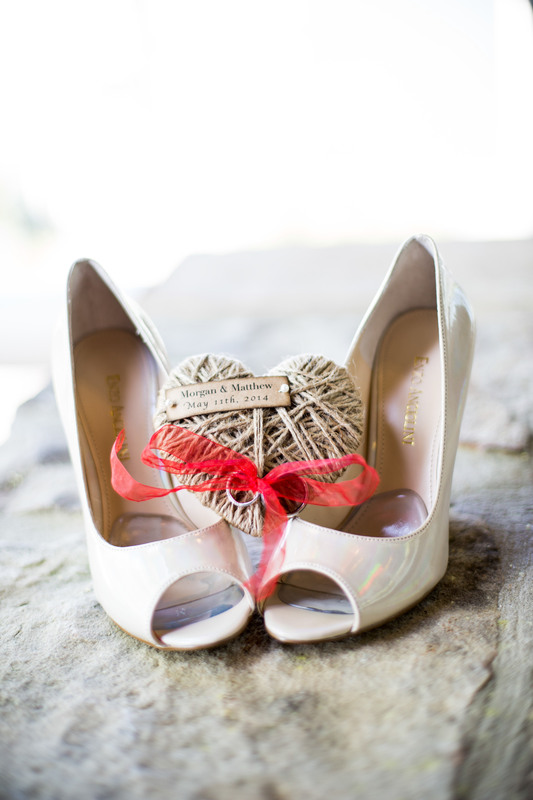 Photos of wedding shoes can be a good way to show the personality and taste of the bride in a playful and creative way. Piano aficionado? Put the shoes on that keyboard! The magic of black & white! 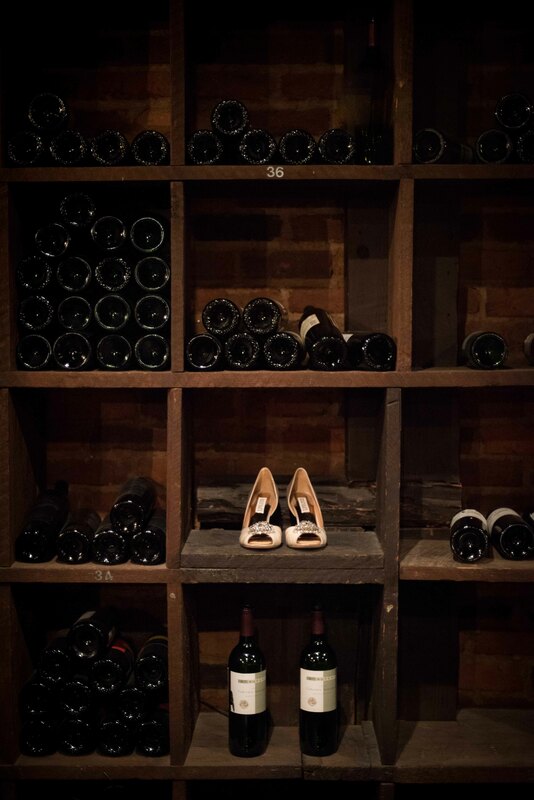 We love the contrast between the white shoes and the black piano and wine cellar. 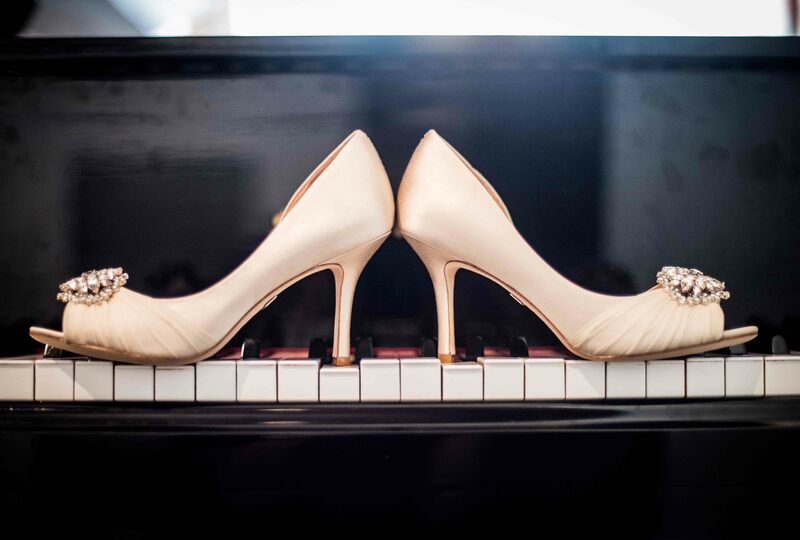 Pictures of the weddings shoes are the perfect time to show the personality of the bride or unique details of the venue. Don’t be afraid to be playful! Because, at the end, it’s all about the love. 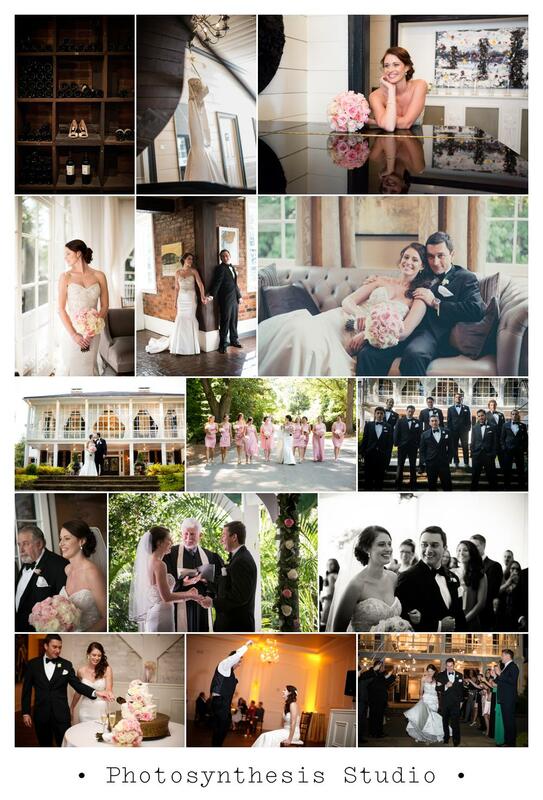 What a beautiful wedding at The Estate here in Atlanta! 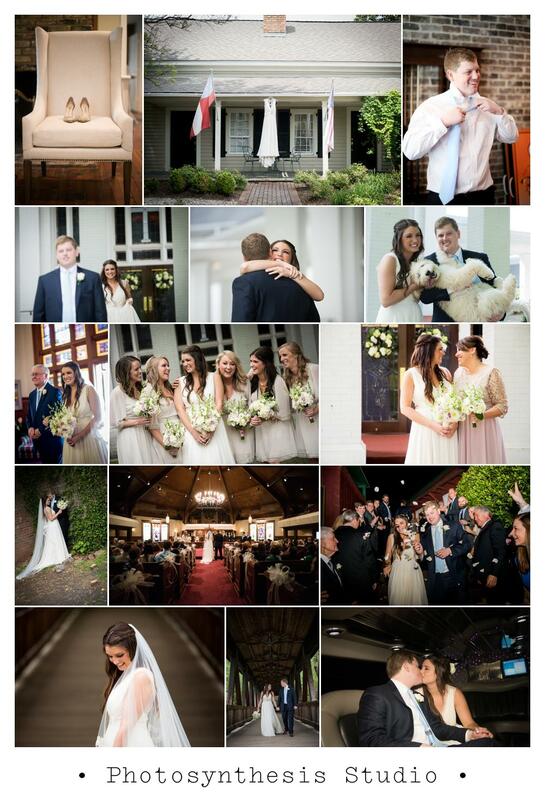 The historic mansion was the perfect venue for this day. Wine cellar, baby grand piano, a sophisticated decor for a gorgeous couple! Congrats Joanne & Manuel! Upcoming event: photography workshop at our studio! 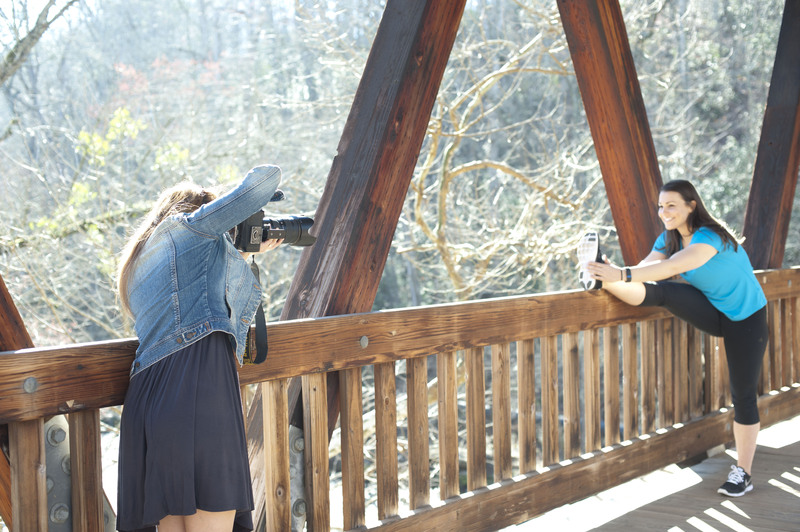 We are excited to offer a 2-day workshop at our studio in West Midtown! We’ve organized it a few times in the past, but were unfortunately unable to set it up last year. We’re excited to offer it again this year! Learning photography techniques can seem daunting. But we look forward to guiding you and helping you get confortable with your DSLR. Join us in this 2-evening workshop organized on June 11th and June 15th at our studio located at The Goat Farm in West Midtown. This Old Cotton Gin Factory is a photographer’s heaven. With everything from old bricks to cobblestone drives, it provides a unique setting to take pictures and explore your creativity! We will introduce you to the basics of photography. You will have plenty of time to experiment, with specific assignments to put the theory into practice. You will learn how to freeze movement by adjusting your shutter speed, create depth of field with custom aperture settings, and much more. We will wrap up the class Monday night back at the studio for a viewing of all the pictures and critique. Meeting time is at 6:00pm at the studio. We’ll serve dinner then start class at 6:30. Early Bird tickets available until May 22nd. Price includes dinner & beverages on both days. Follow this link to register and take advantage of the early bird price! With a weather forecast announcing a 100% chance of rain, we were ready to put on our galoshes for René and Daniel’s wedding! These two must have done something right, because we ended up with a gorgeous wedding day. Congrats you two!